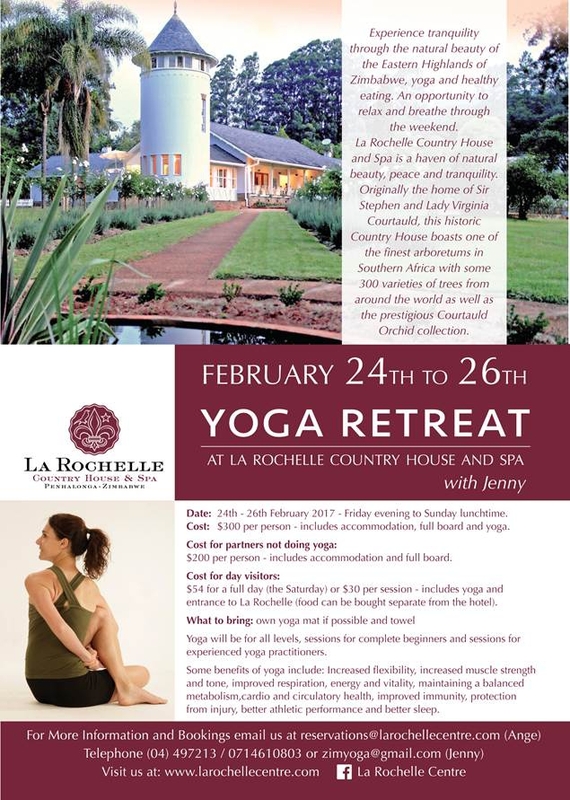 Come and enjoy a Yoga Retreat at La Rochelle $300 per person -including accommodation, full board and yoga. $200 for partners not doing doing yoga includes accomodation and full board. Cost for day vistors -$54 for full day and $30 per session and bring your own yoga mat or towel if possible.